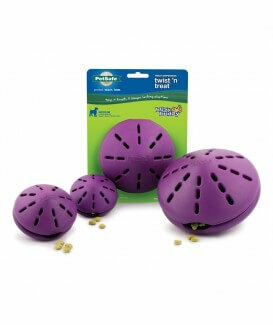 The Busy Buddy Twist ’n Treat will keep your dog busy for hours as he tries to get the delicious treats inside. The two halves are adjustable to work with a wide variety of treat options. 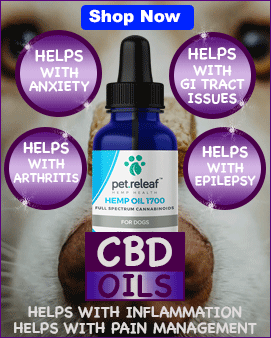 Twist the halves far apart to give your dog a quick reward, or twist the halves closer together for more of a challenge. Add small treats or smear with cheese or peanut butter for even more playtime options. 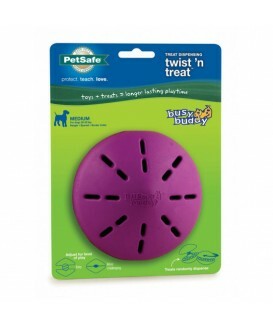 To use, twist apart the two halves of the Twist ’n Treat. 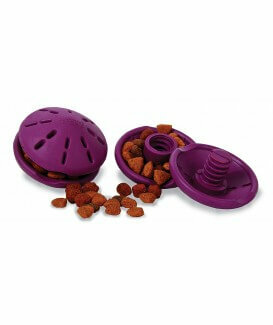 Load with treats or kibble, and then twist the toy back together again. 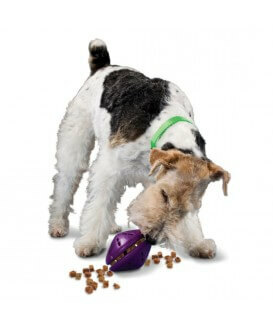 If your dog is new to treat dispensing toys, leave the halves far apart to make it easy to reach the treats. Twist the halves closer together for more of a challenge.